Deciding upon the ebook format(s) to which your manuscript should be converted is primarily a matter of choosing the online bookstore(s) through which you first wish to offer it for sale. The main players in online ebook sales are Amazon Kindle Stores, Apple iBookstores, Kobo Books and their retail partners; and leading UK retailers. 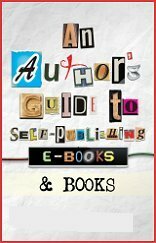 If you decide to offer your ebook for sale by only one online seller, there can be little argument that Amazon Kindle Stores should be your choice—not least because of their unmatched popularity, driven by the international success of the Kindle ereader and Fire tablets, and Amazon's attractive payments régime (see Royalties Guide). Professionally produced ebooks for Kindle ereaders, Kindle Fire tablets and Amazon apps are scripted using HTML5 and CSS code (see Glossary) and must adhere strictly to a structure defined by Amazon to ensure 100% compatibility with any and all of the devices on which they might be read. There are currently 13 country-specific Kindle Stores, serving the UK, USA, Australia, Brazil, Canada, France, Germany, India, Italy, Japan, Mexico, Netherlands and Spain. All Kindle Stores offer digital rights management (DRM) protection against unauthorized copying or distribution of your ebooks. The Glossary gives more details about DRM. Country-specific Apple iBookstores now serve 51 countries throughout the world, allowing customers to purchase and download epub-format titles to read on their iPads and iPhones. All ebooks accepted for publication by iBookstores must strictly adhere to the coding and structure specified for epub-format titles specified by the International Digital Publishing Forum. Any ebook sold by Apple iBookstores can also embody DRM protection. Initially an independent Canadian company but now owned by the Japanese Rakuten ecommerce conglomerate, Kobo ereaders are sold by W H Smith and some multiples, including Argos. The ebooks listed by Kobo on their UK store are also available through their partner retailers in Australia, Brazil and New Zealand. The largest trade distributor of hardback, paperback and ebooks in the UK, Gardners' huge virtual store of ebooks is the first port of call for many UK multiples and it also provides the ebook stock in trade for the Hive network of more than 300 independent high-street booksellers. Overseas online retailers who draw on Gardners' epub-format ebook database include takealot.com in South Africa.